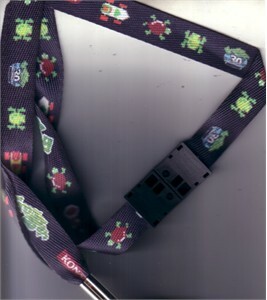 Black fabric laynard distributed by Konami at 2011 Comic-Con in San Diego to commemorate the 30th anniversary of the classic video game Frogger. MINT. ONLY ONE AVAILABLE FOR SALE.